Enjoy the best inspirational, motivational, positive, funny and famous quotes by Andy Romano. Use words and picture quotations to push forward and inspire you keep going in life! Anyone who would ever think of using any other Realtor would be making an enormous mistake. 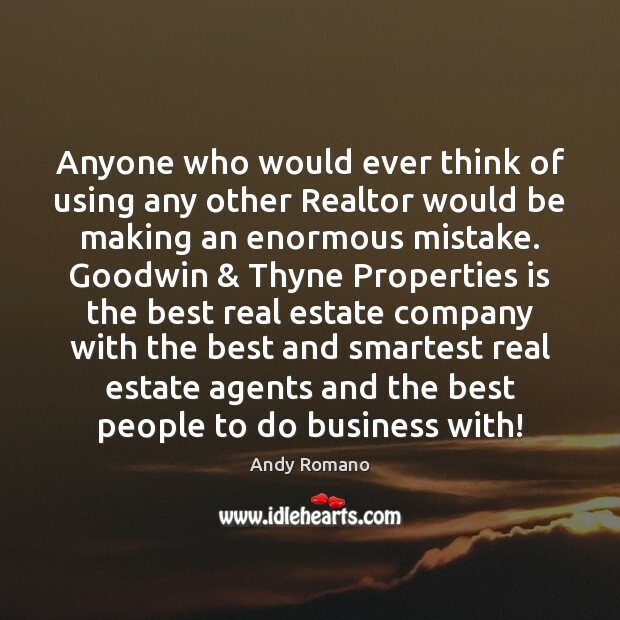 Goodwin & Thyne Properties is the best real estate company with the best and smartest real estate agents and the best people to do business with! 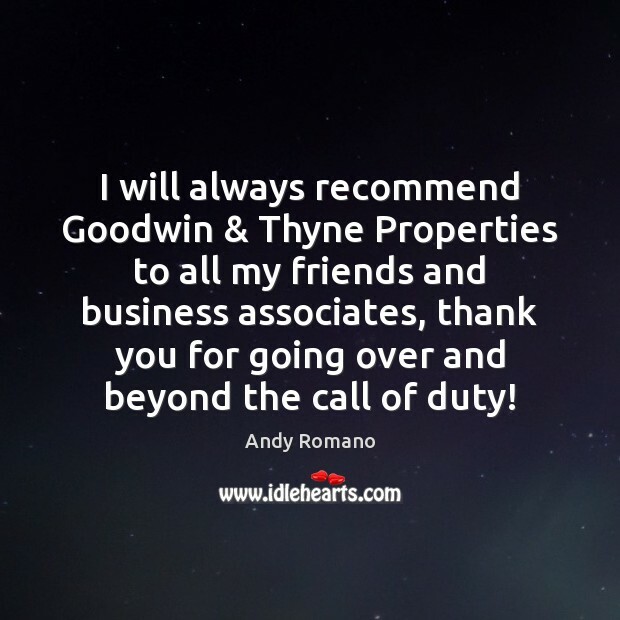 I will always recommend Goodwin & Thyne Properties to all my friends and business associates, thank you for going over and beyond the call of duty!